While a repetition of “May 2nd” did not occur in Odessa, it may still occur in the Ukraine, on May 9th. Three years ago, on May 2, 2014 the war in Ukraine began. 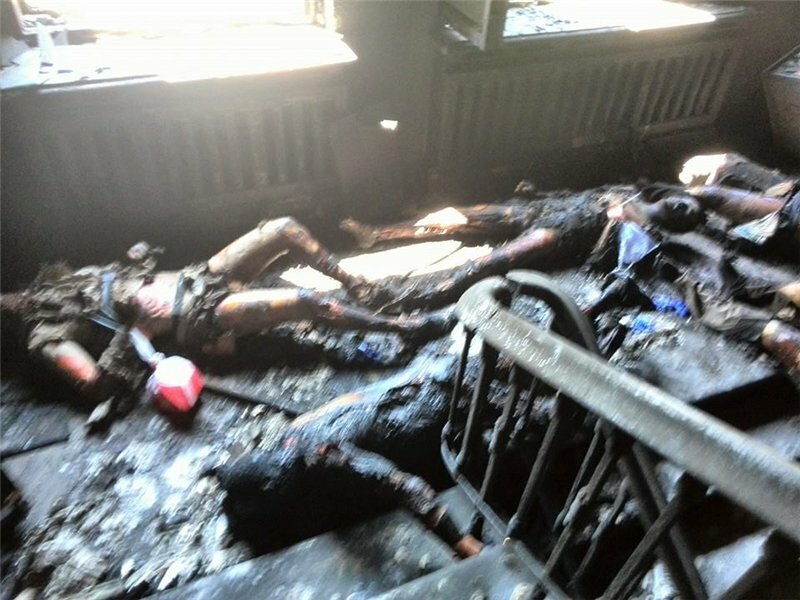 Dozens of people were burnt alive in the House of Trade Unions in Odessa – local anti-fascists and people who happened to be in the building accidentally. Official data names 48 deaths. Residents say that among the dead were more than 200 people. Even if the first figure is closer to the truth (we would like to think that this is so), burning people alive literally under the city center’s cameras, which calls itself Europe, is an event as horrible and as absurd in it is seemingly improbable. However, the whole history of Ukraine since EuroMaidan is a theater of the absurd, and a theater of horror. Commenting on the events in Odessa three years ago, the ex-deputy of the Verkhovna Rada, Elena Bondarenko, stated that only Odessa alone is enough to remove President Poroshenko from power. 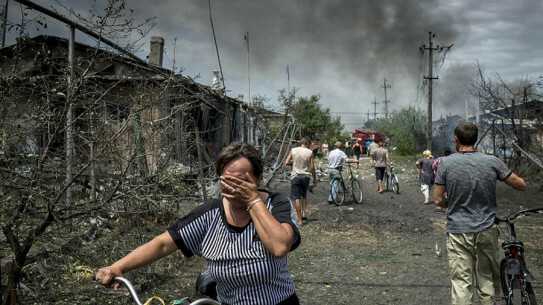 After all, this courageous woman added, after Odessa, there were still Mariupol and Donbass. This would be the case if Ukraine was a European country, but Ukraine belongs to Europe only geographically. Mentally and culturally, Ukraine and Ukrainians are mired in the “Asiatic” of Genghis Khan’s time. Therefore, events like Odessa can occur here with ease. 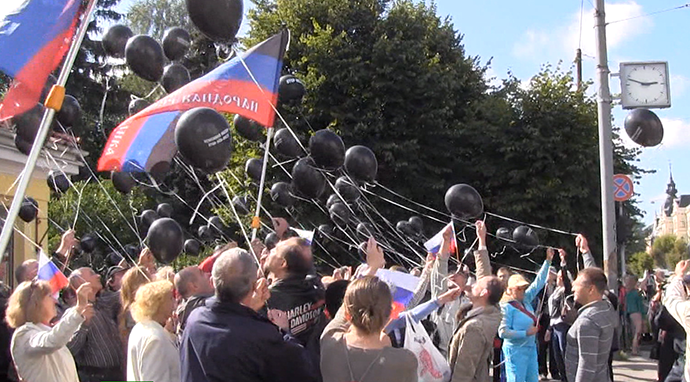 Relatives of the victims of May 2nd 2014 called for an impeachment to President Poroshenko. Deputies of the opposition block demanded an investigation into the circumstances of the tragedy. Of course, neither the latter nor the former will happen: the Ukrainian government was an accomplice in the terrorist attack, and the Ukrainian Nazis – only performers. The aim of the burning of Odessa is to frighten and shock millions of residents of the “Southeast” of Ukraine (they call this region the lands of historical Russia). This goal has been achieved. Only the Donbass found the strength to resist this, but the Donbass always differed from the rest of Ukraine, much like Sevastopol. On May 2nd 2017, Odessa was relatively calm. About five thousand people gathered yesterday at the Kulikovo Field (the traditional site for the Odessa anti-fascist activists, according to local police data) who came to honor the memory of the deceased. Any collision with Neo-Nazis was avoided. The authorities prepared in advance. Two thousand policemen from other regions of Ukraine were brought to the city. Servicemen of the national guard arrived in the Kulikovo Field in full arms. This prevented the re-occurrence of the slaughterhouse. At the same time, the SBU reported on the detention of several local residents who were preparing a terrorist attack in Odessa using explosives. No details have yet been reported. So, a repetition of the tragedy of May 2nd did not occur. Poroshenko’s regime is not interested in airing out dirty laundry, especially on the eve of the Eurovision contest, which will be held in Kiev. Preventing large-scale clashes, the authorities able to demonstrate that they were capable of preventing the tragedy of three years ago, given the burning down of the House of Trade Unions took place for several long hours. 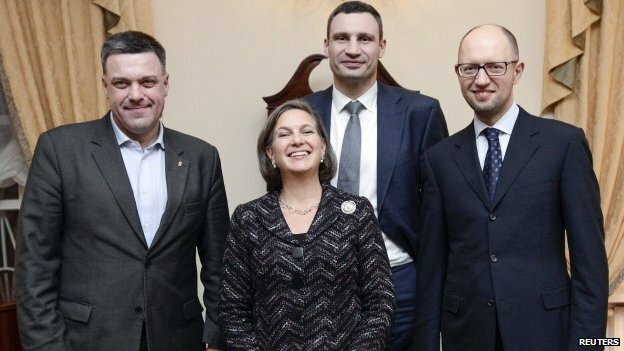 Therefore, at the future Nuremberg-2 court in the former Ukraine, not only will there be leaders of Nazi groups, but also the then leaders of the Ukrainian state, Turchinov and Avakov in particular, will be on the dock (if they survive until then). But until this time, new tragedies may occur. A few days ago, commenting on Sputnik radio, I said that the repetition of the tragedy in Odessa on May 2nd is possible, but it is unlikely (for the above reason – not to spoil the European image of Ukraine). But, unfortunately, the probability of large-scale collisions increases many times on May 9th. 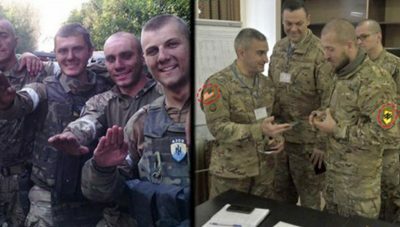 A number of Ukrainian Nazis are in power (for example, Shkiryak, adviser to the head of the Ministry of Internal Affairs of Ukraine; Abroskin, police chief of the Donetsk region) and in the opposition (the OUN – Organization of Ukrainian nationalists, an heir of the Bandera OUN, Kochanivsky, and the leader of Azov and the party if “National Corps” – Biletsky). 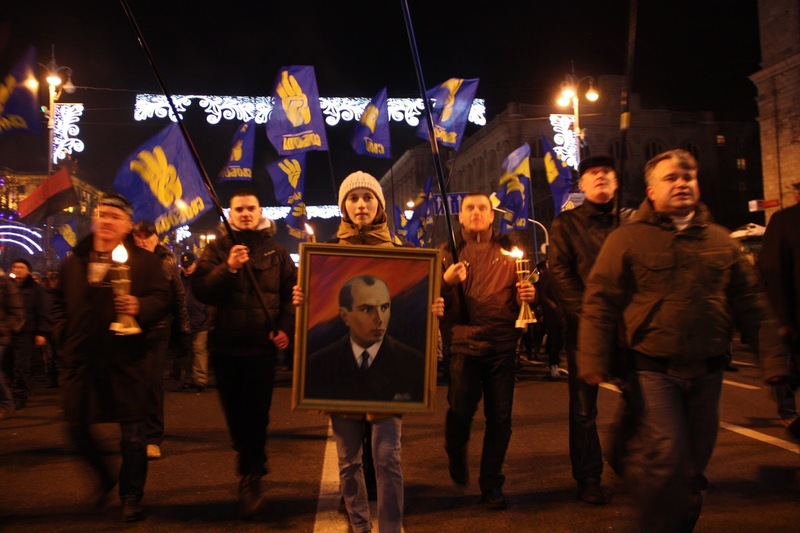 These people have said that they will not allow such a “sabbath” to dominate Ukrainian streets. Kokhanivsky, for example, called on the “patriots”, that is, the Nazis, to take to the streets of Kiev and disrupt the procession of veterans of the Great Patriotic War. In turn, the organizers of the Immortal Regiment stated that they will not be afraid to march along the streets of Kiev. A collision is virtually inevitable. The police, I believe, cannot prevent it – the scale and motive are completely different than in Odessa. Therefore, with great probability we will see bloodshed on the streets of Kiev on May 9th. It is my hope that the confrontation will be limited to a smaller number of anti-fascists – Neo-Nazis clearly will not come to the fight with bare hands. Our only hope is in the attention of journalists (especially foreign ones) and the professionalism of the Kiev policemen. 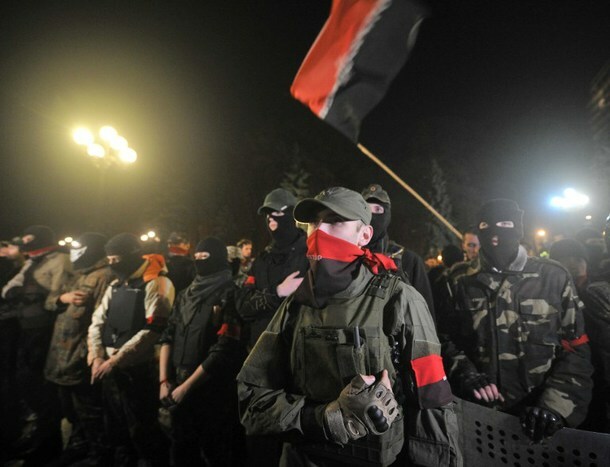 Ukrainian neo-Nazis have signed a manifesto on joining forces. 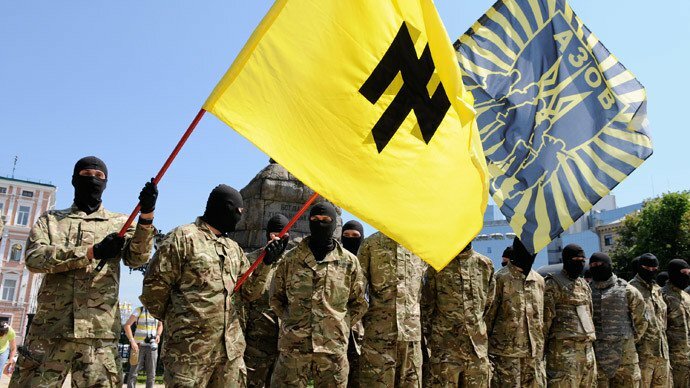 In particular, the manifesto has been signed by representatives of Svoboda, the National Corps formed on the basis of the Azov battalion, and Right Sector. 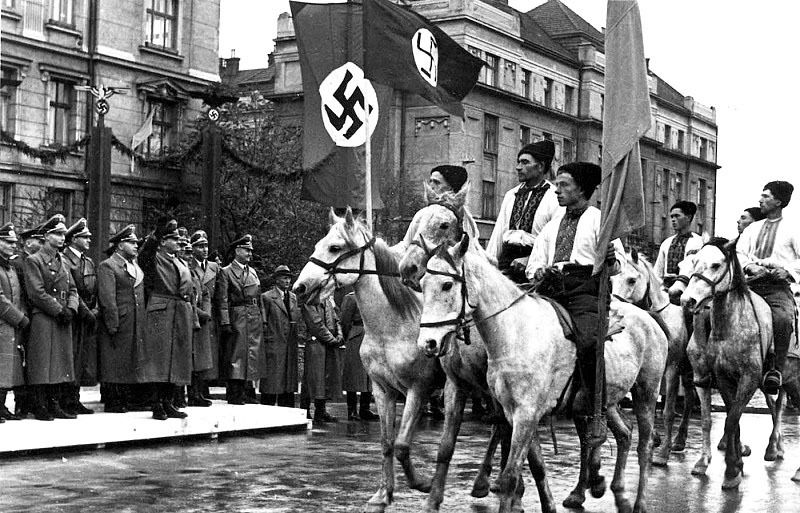 The unified neo-Nazi front also stands for the creation of a professional army and recognizing Ukrainians as the only state language. The leaders of the front’s groups do not rule out running together in early parliamentary elections. 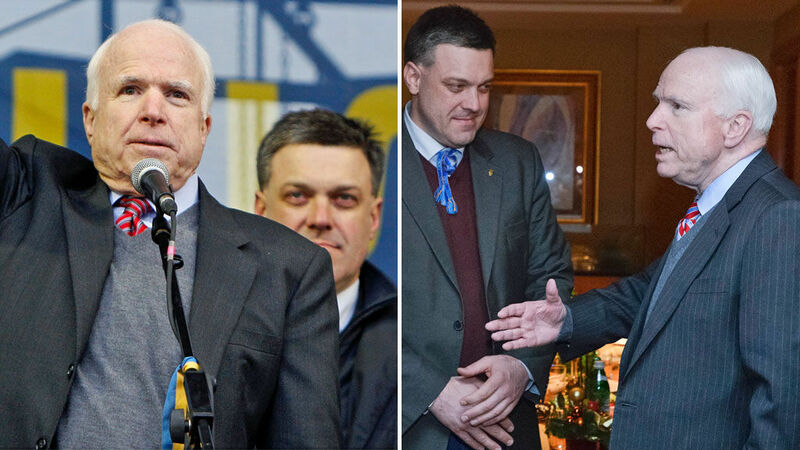 Ukraine is still managing to balance between the two centers of power: the current government prompted by CIA-supported SBU [Security Service of Ukraine] (according to many reports the CIA takes up an entire floor in the SBU building, and the American ambassador in Ukraine is the de-facto president, approving laws and calling the shots) and the Russophobic radical Nazi battalions, which where the muscle responsible for the violent overthrow of Yanukovich government on Maidan and in the aggression of the new Kiev government against the separatist Donbass. 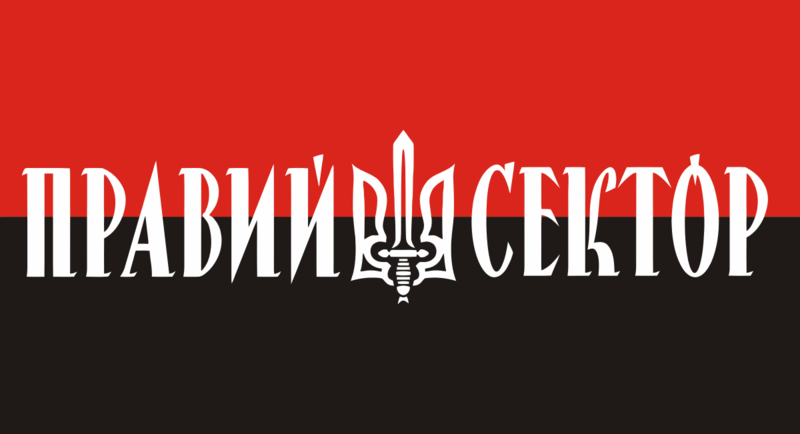 As a guarantor of order in Ukraine, the SBU must appear to defend the population from gangs and crime, while after plundering the mostly Russian population of separatist Donbass in the name of patriotism, members of volunteer battalions who know no other means to make a living, are constantly in Ukrainian criminal news reports. The nationalist volunteer battalions have always been a source of the greatest threat to the new Ukrainian government, which over the last two years continues to successfully balance on the edge of a third Maidan, constantly accused by the far right of not being patriotic or Russophobic enough. This is the reason why remaining Ukrainian career politicians and oligarchs had to abandon decency and paint themselves in nationalist colors in order to hold on to their power. Only the future will tell how long can the fragile balance be maintained. 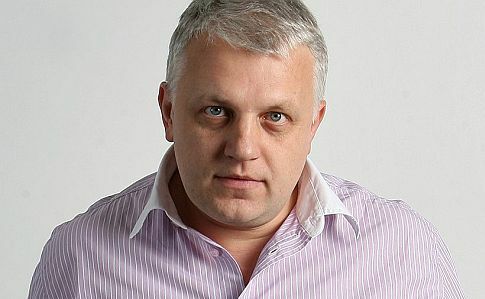 Meanwhile we bring to your attention the last article of Pavel Sheremet, a Ukrainian journalist describing the internal squabbles between the two Ukrainian power poles. 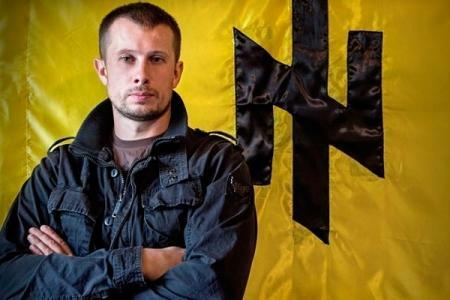 As common for current Ukrainian journalists, who are still permitted to be published in the mainstream Ukrainian media, he is supporting the Nazi Ukrainian commander Andre Biletsky and explains why he could be a threat to the government. 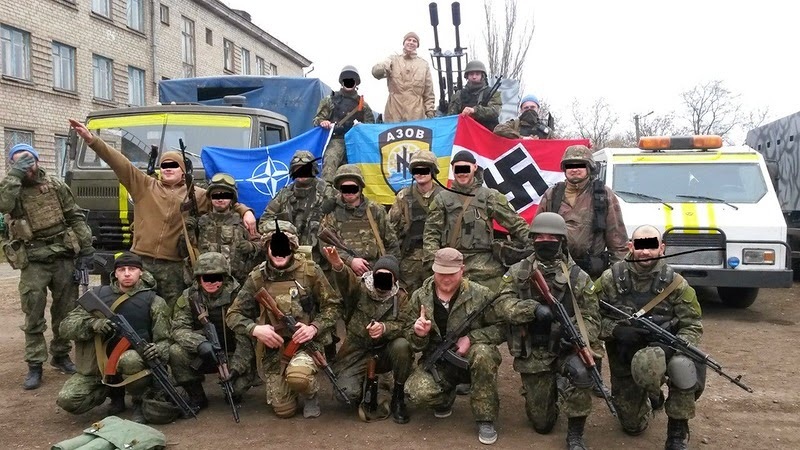 However, even his assessment confirms that the nationalist battalions were a magnet for the disadvantaged troubled youth who found a meaning, a community and a boost to self-esteem in nationalist ideals, who when not occupied by combat resort to crime, so well documented in the war zone of Donbass. The failed Turkish military coup has stirred the Ukrainian community of political analysts and for a few days intensified fears and talk of a military coup in Ukraine. Some are warning of the inevitable and bloody coup, others calm – there is no one to rebel. I am not going to predict anything, just like to draw your attention to two recent curious developments. Writing this early Sunday morning, just as at this moment the chairman of the supervisory board of Odessa Port Plant, the first deputy head of the board of Naftogaz Sergey Pereloma are released from jail. Following him the second “big fish,” the first deputy chairman of Odessa Port Plant Nikolay Schurikov escapes punishment. Escaped not because of the poor work of investigators of the Anti-corruption bureau and the anti-corruption prosecutors. Simply the deputies-battalion commanders and some other people in camouflage on Friday and Saturday blocked the work of the court and created an atmosphere of chaos around these two cases. Why battalion commanders, why men in camouflage? Pereloma and Schurikov were detained on charges of embezzlement of the funds of the enterprise, not even for misconduct in the ATO zone. But deputies-battalion commanders and men in camouflage are now if not above the law, but are able to paralyze the execution of any law on call. And, mostly the same characters are involved. Causing among the population an increasing hatred of men in camouflage and fueling anger towards any volunteers from President Poroshenko and the leaders of security structures. The second story. On Friday, SBU spetsnaz conducted an operation to apprehend a gang that robbed banks in the Zaporozhye region. They were lured to the woods following an armored bank van. Two attackers were killed – a citizen of Latvia (he was taken out by a sniper, he didn’t even have time to shoot the guards) and a citizen of Russia (heavily wounded, he died on Saturday in a hospital), two wounded were arrested, and another two managed to escape. One of them – “Azov” battalion fighter. All these people have been fighting in Donbass from the very first months of the war. Well trained, they went on raids in the rearguard of the enemy for several days. During the truce or trench warfare, they could not find themselves, went from unit to unit and resorted to crime. 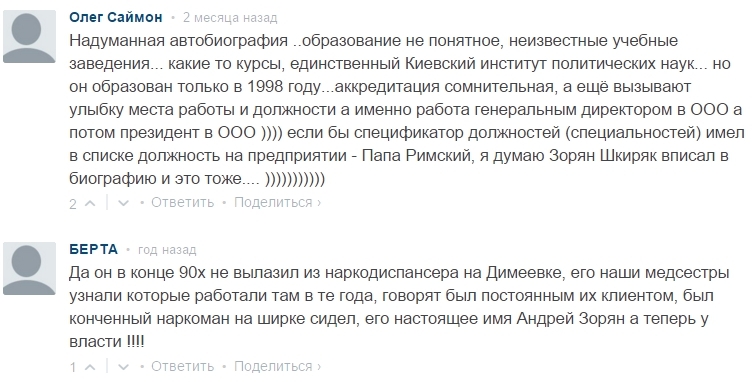 The key in this story is the mention of “Azov”. The killed citizen of Latvia, as well as a Russian citizen, once were well regarded fighters in the ranks of “Azov”. Another attacker had served in the regiment until the last day. The hot heads from the top levels of government called to send spetsnaz to Urzuf and storm the “Azov” base in search of evidence. In Kiev airport two airplanes were on standby. Former regiment commander Andrey Biletsky urgently flew to the location at night in order to prevent provocations and to calm his hot heads. People in the know knew that to attack “Azov” base is insane. Sober people know that the regiment had all legal grounds not to let the investigators even from the military prosecutor’s office for several days. Remember how long the military prosecutors could not cope with a small “Tornado” battalion. 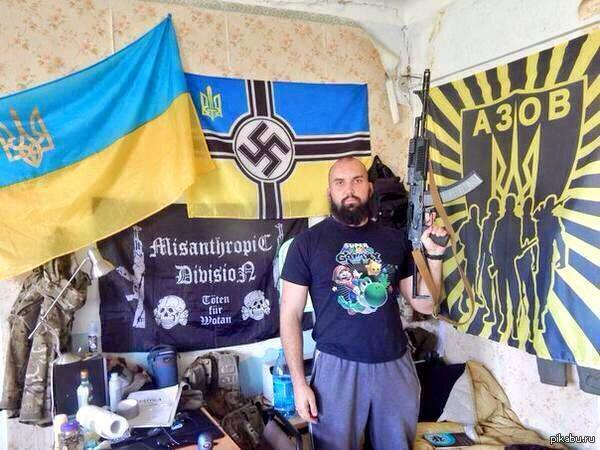 Compared to them “Azov” is a combat division. 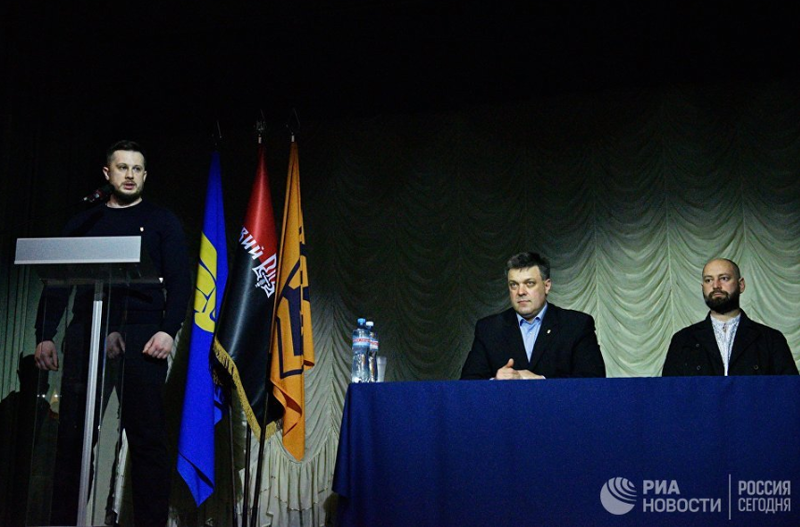 Minister of internal affairs Arsen Avakov was not in Kiev – he left on vacation. But we must command the head of the SBU Vasily Gritsak and deputy Andrey Biletsky. One had the presence of mind and patience not to bring the situation to a bloody absurd, the second was smart enough to separate a brother from a criminal. SBU often uses “Azov” at the front as storm troops, perhaps this is why a common ground has been found in this scandalous situation. Investigators were quietly allowed inside the base to perform their work. SBU leadership acted surprisingly competent, even better than the commanders of National guard – without hysteria, pressure and speculation on the subject of volunteer battalions. If Biletsky only dropped a word, a crowd of young men would gather in the center of Kiev, ready to tear the enemies of Ukraine, FSB agents and the oligarchs. They would shout about betrayal, the third Maidan, the security forces who protect criminals in Donbass and harass the true patriots. But he acted like a responsible person and a commander. “We do not leave our brothers, even the dead on the battlefield. But if the soldier crossed the red line that separates war and defense of homeland from violent crime, he will answer to the full extent of the law. Black sheep are everywhere. 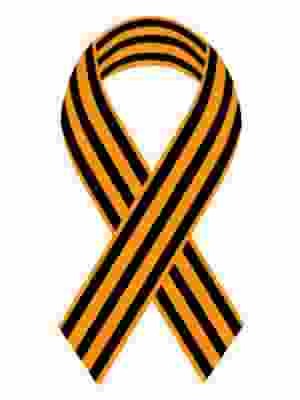 Of course, if the lost man is a hero and shed blood for Ukraine, we will ask for leniency towards him. [So what about the full extent of the law??? – FR] But we are not savages, we don’t defend ourselves at any cost, we defend our Homeland” – said Biletsky. “We are not savages” is a key phrase. I can imagine how difficult was this decision for Biletsky, because it goes against the existing trend, when a man in camouflage, especially from the ATO zone, is always right and above the law. And this example shows that when two sane people from different security agencies – the SBU and “Azov” – find a common language, no scary nonsense will happen. Andrey Biletsky, of course, must be closely watched. He is very much progressing over the last two years and is growing, but his radical Nazi youth sometimes surfaces. But we can distinguish a mistaken responsible patriot from a crook and opportunist. And we must follow suit of such volunteers as Azov’s Biletsky or Peacemaker’s [Mirotvorets] Teteruk, and not those strange people in camouflage, who at this moment block the work of anti-corruption prosecutors at the Solomensky district court in Kiev. The important info is midway down the article. In addition, Shkiryak also has some problems with biography. If Lenya Cosmos was a member of a religious sect and kissed the hands (perhaps not only) of a black American pastor, Shkiryak is also deeply esoterical and, it seems, is also connected with the cosmos. And his biography, although it is written perfectly in places where people usually look for incriminating evidence online, evokes clear suspicions of those who were not made yesterday. Overall the public has long agreed that Shkiryak is Avakov’s stooge, and was created just for filling certain positions in the government as a plug. The people of Ukraine could judge his performance by operation “SOS in Nepal” or, for example, fire liquidation at the oil depot near Kiev. To consider Shkiryak a politically autonomous figure does not make sense, despite his six pack and yoga hobby. This man has not yet achieved anything better. In four words about this person: Shkiryak, six pack, yoga, Avakov. And when this man, formerly head of Ukraine’s Ministry of Emergency Situations, and now adviser and sometimes the mouthpiece of Avakov, suddenly says that certain law enforcement officers in Odessa will open fire if they see a weapon in the hands of some provocateur, I would treat these words seriously, given the recent appearance in Odessa of 300 “Azov” fighters (nick-named “Manure” by the people). Perhaps Skiryak was talking about them when referring to “law enforcement”, and not the local ball-less militsia-police, which entirely discredited itself on May 2, 2014, and will be a disgrace of Odessa for a long time, no matter how they justify themselves. Odessans, you’ve already lost your city when I for the first time on April 16, 2014 declared the Odessa People’s Republic online and called for you to block roads. You lost your city the second time on May 2, 2014. Now issues are resolved not as then, with bats and stones, but automatic weapons and heavy machine guns on armored cars. The stakes have increased and if you have nothing to resist the arms of “Manure”, I would recommend all of you to go away for “shahliki” [traditional Russian weekend getaway at a dacha (summer house) in grandma’s village with kebab (shashliki) as a featured dish – FR] for the entire May holidays or stock up on popcorn for those who stay in the city and watch the events. Any civil disobedience actions in Odessa without a serious cover today will be just shot by the Nazis. 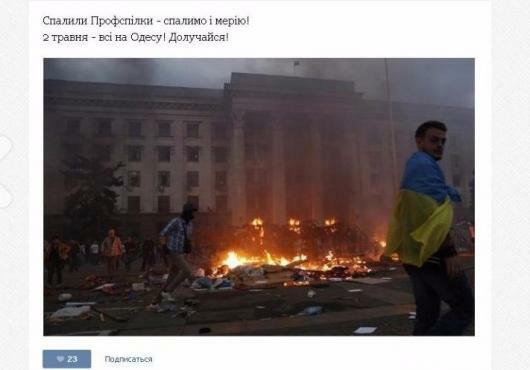 Remember Odessa on May 2, Mariupol on May 9 and how the same “Manure” killed Russians in Donbass. You NEED to BELIEVE the Nazis who promise to shoot you! Fighters of the Azov regiment are ready to be sent to Syria and participate in combat operations on the side of the Western coalition. The founder of the regiment, Andrey Biletsky, stated this on November 26 live on channel 112 Ukraine. “Given the cooling of relations with Russia and given the fact that there are clashes between Russian and Turkish interests in Syria, it is perfectly logical for Turkey to seek contacts from Ukraine, as this would be logical for Ukraine as well. I can assure you that, for example, Azov could perfectly carry out this function of collecting a foreign legion and sending it to Syria to fight, roughly speaking, for the Western coalition. And we could work against the Russians on a new field while we have a ceasefire once again which is good for Donbass,” Biletsky said. The presenter, Vasily Golovanov, after listening to the guest, asked what he had in mind: a fight alongside Russia or a struggle against Russia. Golovanov assumed that Biletsky spoke about a fight against the Russian Federation. “Of course, that’s the point,” Biletsky said to the assumption of Golovanov. We recall that earlier parliamentary deputy Anton Gerashchenko demanded that data be collected about Russian pilots participating in operations against the Islamic State in Syria.